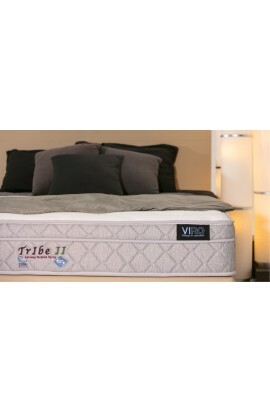 The VIRO Tribe collection of mattresses feature natural bamboo fabric which offers cooling comfort, especially suited for humid climates. 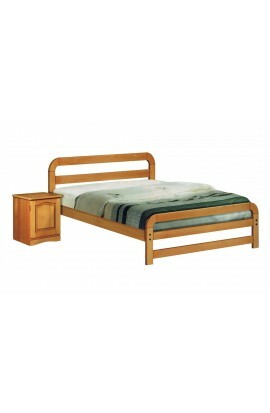 This bed set package comprising of a 10.5” mattress, storage bed and choice of headboards are available in 5 colors. The VIRO Tribe collection of mattresses feature natural bamboo fabric which offers cooling comfort, especially suited for humid climates. 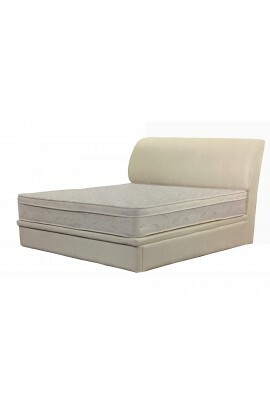 This bed set package comprising of a 10.5" mattress, divan and choice of headboards available in 5 colors. 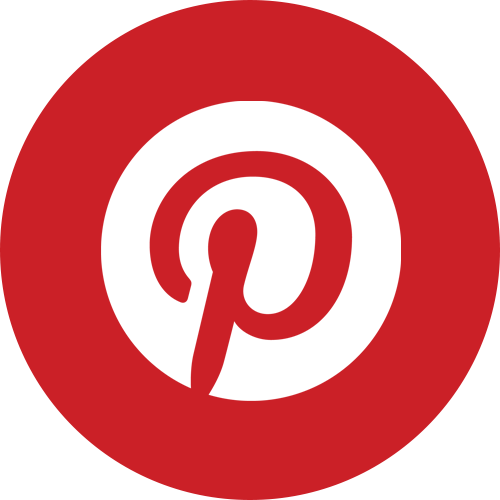 The VIRO Tribe collection of mattresses feature natural bamboo fabric which offers cooling comfort, especially suited for humid climates. 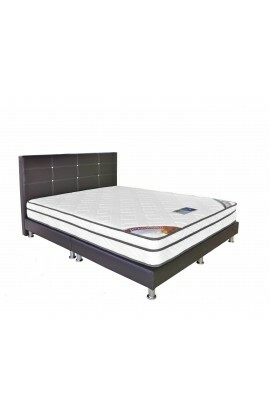 This bed set package comprising of mattress,storage bed and choice of headboards available in 5 colors. 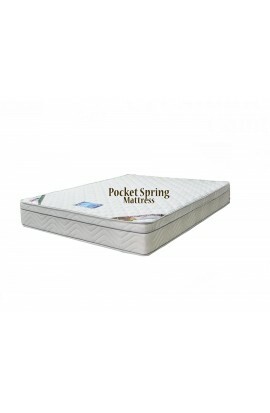 Houston 8" Spring mattress has a unique shiny pattern of the Damask Fabric that brings the mattress a class above the rest. 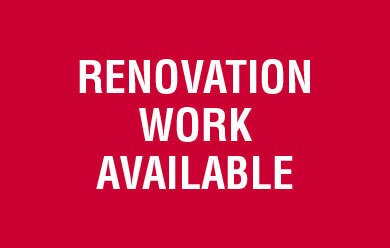 It is durable and long-lasting. 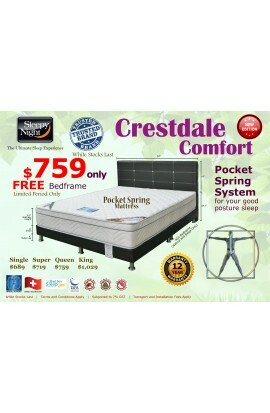 Its Orthopedic Support along with Bonnell Spring System ensure the excellent suport for your body weight. 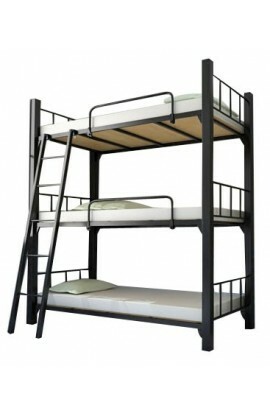 Thus allowing user to enjoy uncompromised seep during the night. 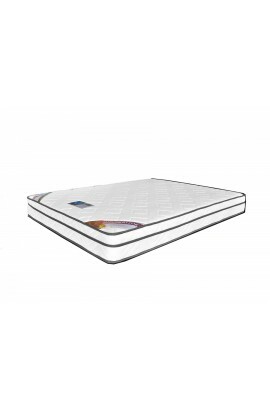 Sleepy Night Mattress Crestdale Comfort 9.5" Pocketed Spring System with Convoluted foam for an ultimate sleep experience. 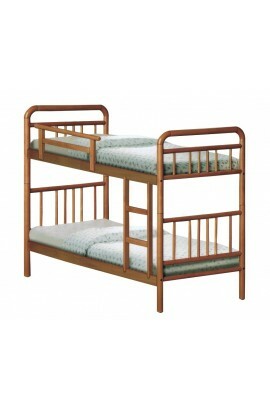 Comes with Free A55 Bedframe. 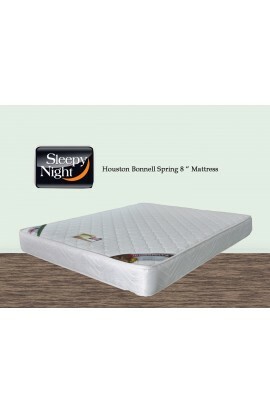 Sleepy Night – Bountiful 9” Orthopedic Spring Mattress with free A55 Bedframe! 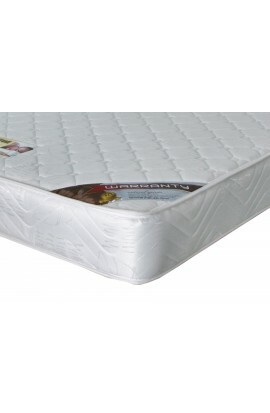 A superior mattress designed for maximum comfort and excellent spinal support. 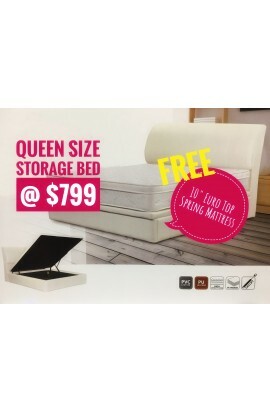 Purchase this Brookland Fixing Queen Size Storage Bed and a 10" Euro Top Spring Mattress (worth $500) is yours for Free!